Why we need our academics. Several times recently, the fears of learned men and women have fuelled my own fears regarding academia in post-Brexit Britain. During this week’s House of Lords debate, Professor of Science and Society, Lord Robert Winston, spoke passionately about how the UK was “bleeding great minds” as academics left the country. On Tuesday The Guardian newspaper reported the story of a French scientist who’d lived and worked here for the last 20 years but with no certainty in the future he is taking his family to settle in Scandinavia. This country has rightly held it’s head high in a world where knowledge is power, yet the continued justification of that sense of pride is uncertain now that politicians are turning their backs on academic integrity. The future needs academia in general and science in particular, yet on recent US and UK political platforms truth was replaced with alternative facts and we were told that the we were all “tired of experts”. This dumbing down of intellect is insulting to us as human beings and toxic to our futures. There is hope. We still have a great many intelligent and creative individuals who call the UK home. We all need to get behind them and give them our support. We need to raise them up as role models who will inspire young people to emulate them. 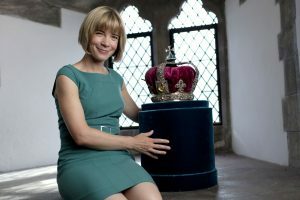 Fortunately some of these have become regulars on our TV screens, presenting exciting and informative documentaries on a wide range of subjects through the sciences, arts and humanities. Some of these presenters buck academic traditions by having youth and good looks on their side, some have memorable voices, excitement, good humour or wisdom as part of the package. What they all have in common is a passion for their subjects and a strong desire to communicate to others. These people are not just dry academics, they are teachers with the rare skill of being able to deliver difficult concepts in a meaningful way. They are not just popularising a subject, they are democratising it. Their passion is infectious and we buy into their world just as we would any high street brand. We get to know them, like them and follow them. Of course once we are following them we are able to share the love by becoming advocates for them and their topics. 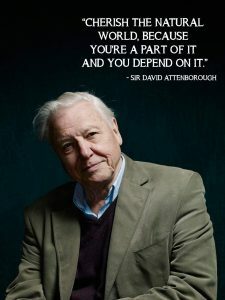 Who among us has not spent a lifetime learning about the natural world from Sir David Attenborough? His knowledge, passion and schoolboy enthusiasm have inspired us and of course have sold dozens of awesome tv series and millions of beautiful books. It was people like David Attenborough, Jacob Bronowski, Carl Sagan, and Patrick Moore who inspired me to become a scientist and a school teacher, but these are different times. Now, more than ever we need young people to follow academic pursuits. 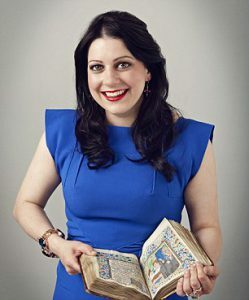 The current breed of tv academics are true celebrities and we need to raise them up so that they can continue to teach and inspire as many others as possible. It is fortunate that this group are quite representative of the diverse UK population. Although most were born in Britain, they represent diverse genders and cultural backgrounds thus breaking academic stereotypes too. Below are a few of my favourites, but I’m sure you could all add more. 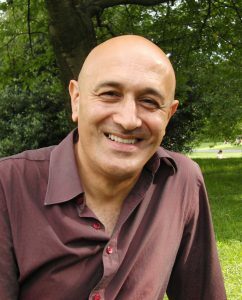 For science, we have: Astrophysicist, @ProfBrianCox, Physicist, @jimalkhalili, Medic, @Kevin_Fong, Ethnobotanist, James Wong – @botanygeek, Anatomist, @DrAliceRoberts Mathematician, @MarcusduSautoy and astronomer Maddie Aderin-Pocock. 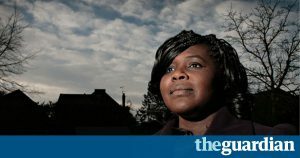 This last scientist is not only an astronomer and engineer but as a black, dyslexic, woman, she has broken so many preconceptions in her field and is a true inspiration to so many people. Maddie is the current anchor woman on the long running Sky at Night tv series. As you may have deduced from the lists above, there is a new facet to the life of the celebrity academic, namely their use of social media. Regular readers will know the importance I put on social media as a means of communicating with a wide variety of people. Likewise those academics who create a proper social media platform are able to promote both their personal ‘brand’ and their subject. This works on the ‘know me, like me, follow me’ principle where loyal followers come to know their person of interest in a way that previous generations could not. These followers then become true advocates, spreading the message to an ever wider audience. I personally follow a great many academics across a wide spread of subjects. Once I am certain of their academic integrity and their passion for sharing, I am happy to become an advocate for them and their work. As an author myself (@TJMasters) I have benefitted enormously from the advocacy of my many loyal readers on social media so it’s only fair that I use my platform to share the work of those I admire. It’s hard to single out any favourites but I would like to end by spotlighting two of my hero academics: Janina Ramirez and James Wong. This choice is based on the fact that aside from all other considerations, these two engage with their social media followers on a daily basis. Both are young, good looking and passionate about their respective subjects. Both are great tv presenters/broadcasters who smile continuously while speaking. Both follow the facts methodically and endorse their teaching with evidence. At the same time neither one is shy about delivering an educated opinion. 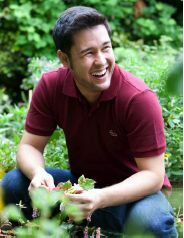 James Wong (@botanygeek) is an ethnobotanist, broadcaster and science writer with a passion for plants and food. Currently on a mission to sweep away misinformation about nutrition from plants, James is a scientist grounded in the traditions of scientific facts, derived from rigorous enquiry and experimentation. Having heard James lecture and met him personally I can attest to his great charm, easy personality and a devotion to his subject which makes him a natural educator. Follow James on his website and for daily updates on Facebook and Twitter. For me, James and Jenina represent just the type of young, passionate academics that this country needs many more of and we need to value them all, not drive them away. I heard something on the radio this week that makes the chances of a brain drain even bigger. Apparently, with Brexit insight, British researchers are being left out of grant applications to the European Union. Apparently it used to be the ticket to getting your grant approved to have one or more British researchers on your team. These days they are perceived as a liability, and that has nothing to do with their abilities as researchers suddenly being questioned. This Brexit is costing the UK in ways nobody even (seem to have) thought about. This is a major concern and will only get worse unless new sources of substantial funding can be found. Mindful Monday: You Don’t understand.